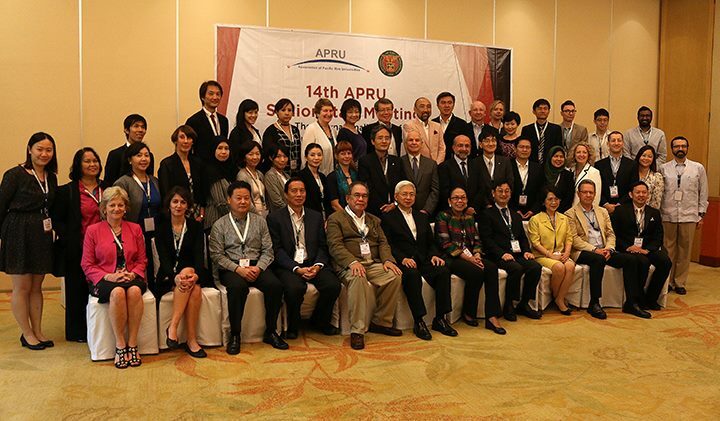 Education leaders from 45 premier research universities gathered in Lapu-lapu City, Cebu to discuss strategies toward academic linkages in the Asia-Pacific at the 14th Association of Pacific Rim Universities (APRU) Senior Staff Meeting (SSM) on 7 September 2016. 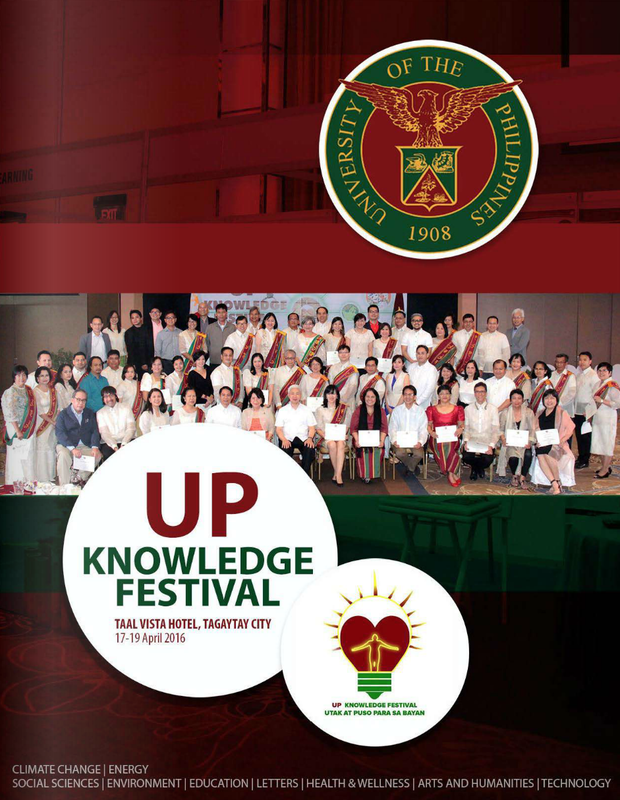 This year’s meeting, which focused on the theme of “The Internationalisation of Higher Education in the Asia-Pacific,” was hosted by the University of the Philippines (UP), through the Office of International Linkages, a unit under the Office of the Vice President for Academic Affairs mandated to identify and explore areas of cooperation and linkages with foreign and local institutions. In his keynote speech, UP President Alfredo E. Pascual stressed internationalisation to be a means to serve the country and its people by acquisition of the best practices of other universities worldwide through enhanced collaboration. “Internationalisation is, first and foremost, an outlook, an attitude that thinks global and acts local,” said Pascual, highlighting that internationalisation required a genuine appreciation of the unique strengths and gifts that the different universities could offer. He also cited the University’s international initiatives in the form of faculty and student exchange (University of the Philippines Mobility for Vigor and Excellence or MOVE UP), joint research (Continuous Operational and Outcomes-based Partnership for Excellence in Research and Academic Training Enhancement or COOPERATE), and sponsorships of conferences and other special academic activities, such as the World Experts Lecture Series, which enables global experts in the academe to give special lectures to UP students. 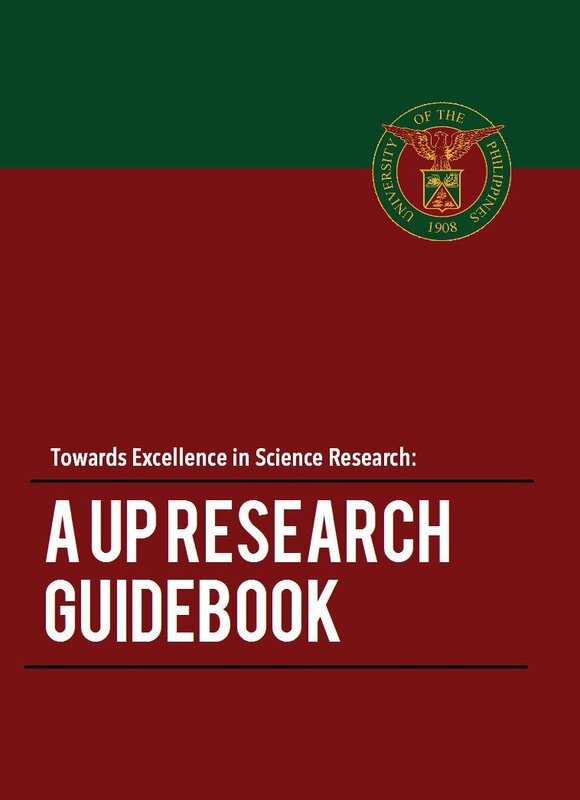 Pascual recognized that the UP faculty’s competence in producing high-caliber research and creative work allows the University to gain support from various external funding agencies. “These partnerships and affiliations have become fruitful in terms of knowledge sharing and in securing UP’s place in the academic world map,” Pascual said, as he cited the University’s partnership with APRU and other ASEAN and European academic networks. He added that some university officials recently visited Harvard University to explore the possibility of developing programs as part of both university’s mutual thrust toward internationalisation. Dr. Patricia Licuanan, Chairperson of the Commission on Higher Education, shared with the delegates the current issues on higher education reforms in the Philippines. “Public and private institutions should take different roles and emphasize different programs,” said Licuanan, stressing that the state system should focus on areas that market-driven private institutions may not be able to afford. Licuanan said that internationalisation should not necessarily involve mobility, and added that the benefits of internationalisation should also be experienced by students who remain in the country. She also stressed the importance of getting to know international partners by identifying which countries would be prioritized in terms of bilateral relationships. “The Philippines has to ask that question: which universities will we welcome to our shores to recruit students; should there be limits to this at all?” said Licuanan, prompting education leaders to be more critical in choosing international partners. Licuanan also described the K-12 reform as necessary and as having a positive impact on the students in the country. “Those who will graduate from Senior High will be put directly to jobs. It has tracks–those who want to go to college and those tracks for vocational courses,” said Licuanan in response to questions on the reform’s impact on students. Meanwhile, UP Professor of English and Creative Writing Jose Dalisay Jr. deepened the delegates’ understanding of Philippine society as a nation recreated in America’s own image. “Not only did we switch to English and largely forget Spanish within a couple of generations; aside from American fashions, we adopted American jurisprudence, and were given a Supreme Court which wasn’t supreme enough, because its decisions could be appealed before the US Supreme Court in Washington. We were given a bicameral legislature, with a Senate and a National Assembly that was the equivalent of Congress. We learned about and launched national political parties, and threw ourselves with gusto into the electoral process. The Philippine press became as active and as raucous as its American counterpart,” said Dalisay in his speech, emphasizing a pattern that marked American influence over the country which has lasted up to the present time. For Dalisay, America cherished its special partnership with the Philippines for obvious economic and political reasons. “Under the guise of free trade, we became a major source of raw materials and a market for US goods, and our location marked us as a strategic outpost overlooking China and Japan,” said Dalisay. He also highlighted the distinct contrasts and contradictions of Philippine society. “We have one of the freest presses in the world, amplified by totally unregulated social media. The flip side of all this is that, by some accounts, this is also one of the most dangerous and deadliest places in the world, after Iraq and Syria,” said Dalisay. “In today’s globalised world, where traditional societies have been overlaid with growing patches of modernity and the mindsets that come with exposure to foreign shores, these contrasts are, of course, hardly unique to the Philippines,” said Dalisay. He said that Philippine culture is a powerful instrument of social and political reform and modernisation. “Considering the contradictions and the gaps I mentioned earlier, culture can do much to bridge the divides, to forge and sustain a set of core values, of national interests that cuts across family, class, and region,” said Dalisay. With neighbouring nations having clear ideas of their roles and responsibilities, Dalisay urged Filipinos to redefine themselves. “In this ocean of resurgent nationalisms, we Filipinos need to redefine ourselves as being more than America’s students and surrogates. And again, it will likely be the educated Filipino, steeped in political and cultural discourse, who will lead in this enterprise,” said Dalisay, stressing that the best environment for education the country can hope for is a society where people have not stopped asking questions and seeking answers. 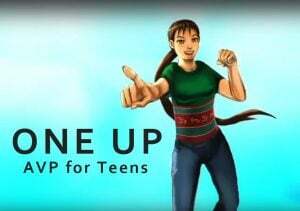 In a separate interview, UP President Pascual pointed out that the entire UP system would benefit from the initiatives that would be formulated from the series of APRU meetings. “In meetings like these, they share each other’s experiences; we are able to learn from the practices of others and it’s up to us to decide which ones we will adapt and which ones we will not accept,” said Pascual, adding that UP Cebu, being part of the UP system, will also benefit from it. The three-day meeting held at the Crimson Resort and Spa Mactan in Lapu-Lapu City covered the four remaining plenary sessions. The following topics were discussed: the maximisation of the APRU Impact Report, a three-year pilot project, which will demonstrate the value of research universities in their societies that can have a greater collective impact on its members; and future perspectives on the internationalisation of higher education. Panel presentations on international partnerships were done and a summary of other key issues given. The Asia Pacific Rim Universities (APRU) Senior Staff Meeting was held from September 7 to September 9, in Lapu-lapu City, Cebu. 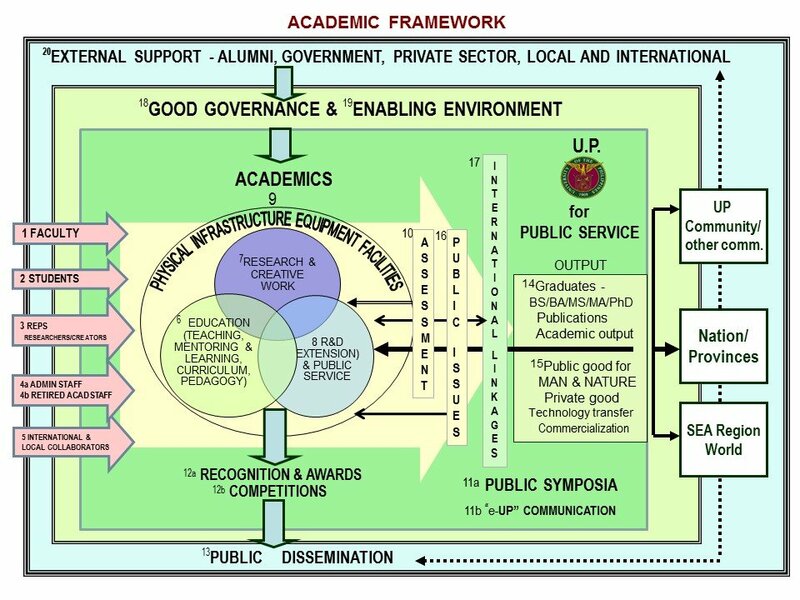 As a member of the APRU, UP takes an active role in representing the country’s education sector, engaging other universities abroad, in fulfilment of its mandate to exercise distinctive leadership in education, research and public service. Read the welcome message of Vice President for Academic Affairs Gisela P. Concepcion. Read the talk of Prof. Jose Dalisay Jr.
View the presentation of Dr. Patricia Licuanan.